Today’s Carolina Art Crush is one of the winners of the HappeningsCLT Artist grant. We think that Kenny is really pushing himself to keep exploring his medium and we like what we are seeing! Get to know Nguyen more in the interview below. HCLT: Describe yourself in three words? KN: I knew some Vietnamese-American artists who have been living in the U.S for a long time and we keep in touch through social media. I like to read about their life story and see their works. For the silk painting project, I researched on ancient Chinese, Korean, Japanese silk painting and pioneer Vietnamese silk painters during the years 1925 -1945. I found most of valuable resources in art history books in both languages (Vietnamese/English) some of the traditional art forms I didn’t even know that they’ve existed. The same thing is happening with traditional silk painting now in Vietnam, it’s declining. KN: It’s a long story…I always want to be an artist when I was a child. I’m lucky to have a great support from my family and that play a big part in my career path. There is always a misconception and stereotype of Asian family in Western culture. My parents have never tried to direct me to a certain career or set me on an unrealistically high goal. When I said I want to be an artist, I feel like I’ve the responsibility to make my dream come through and they believe in me. They taught me it’s okay to fail. Of course, I fail so many times. I went to a fashion design school and get a job, then I figured out it was not kind of art that I want to do. I couldn’t find the balance between my freedom of ideas and customer requirements of design products. I quit the job, we moved to the U.S couple months later and start a brand new life. I spent 2 years just to work at a beauty salon, improve my English skills, and paint whenever I had time. I paint to forget that I’ve been so lonely and isolated. And at that moment I realize that I’ve found the way to cure myself and heal those ‘exist wounds’… by art. KN: I’m proud to be Artpop Artist winner this year, so you can see my artwork on Billboard display around Charlotte. My billboard was displayed on I-85 near Billy Graham Parkway now has moved to the intersection between Freedom Dr and W Morehead St. Artpop billboards are also displaying on screen at Ballantyne Village. I also have paintings at Sozo Gallery in Downtown Charlotte. I’m maintaining a studio in University area and everybody is welcome to have a studio visit. You can find more information on my website www.kennynguyen.org. KN: I’m working on two painting series right now. Filtered Vision series included large-scale abstract paintings on canvas. Co-existence series explores new materials like Plexiglas and transferred images on silk. My concept is based on migration experiences and changes of cultural identity. I incorporated silk as a reference for my cultural root. Silk was treated in variety different ways. Silk was 3D sculpted on the canvas or treated with a special solution to become paper-like form. I like how the fabric was transformed from softness into hardness and became a metaphor for my cultural identity, which has shifted after migration. Sometime silk function as a veil, it filtered everything I see. Colors underneath the silk surface become saturated, texture seems to disappear and the images become blurry. The significant of silk painting with traditional techniques that it will decay overtime due to being stretched so many times and the natural adhesive that have been used in mounting. That’s why in Coexistence series I try to achieve a new way to treat the material the same time keep the transparent quality of the fabric by taking the advantage of Plexiglas and acrylic medium. KN: There is so much. The greatest thing that happened to me was attending the BFA program at UNC Charlotte. I learn so much from all my professors and friends. After graduated, I had my first solo show at Allenton Gallery, Durham Art Council. I gave lectures and taught couple workshops there in last fall. Back to home in Charlotte, I had a great support from ArtPop and Charlotte Art Council. I like the diversity of Carolina’s art scenes. By being exposed to different peoples, cultures and locations, I see how my works become alive and open up more connections. I believe that there is always a welcoming place for young artist like me who is serious in making art and never stop looking for new opportunities. KN: Three of my favorite books: Ways of Seeing by John Berger, Night sky with exist wounds by Ocean Vuong and Alexander McQueen: Savage Beauty by Andrew Bolton. HCLT: Best meal in the Charlotte? KN: My family used to have a small restaurant back in the country and my mom trained me how to cook since. When my mom is getting too tired to cook, I will cook for the whole family. There is also a small restaurant called New Zealand Café that I used to hang out with friends. Thai house at University and Rusan Restaurant on Park Road are also on my favorite list. KN: I’m so excited to work on a new project with silk painting. 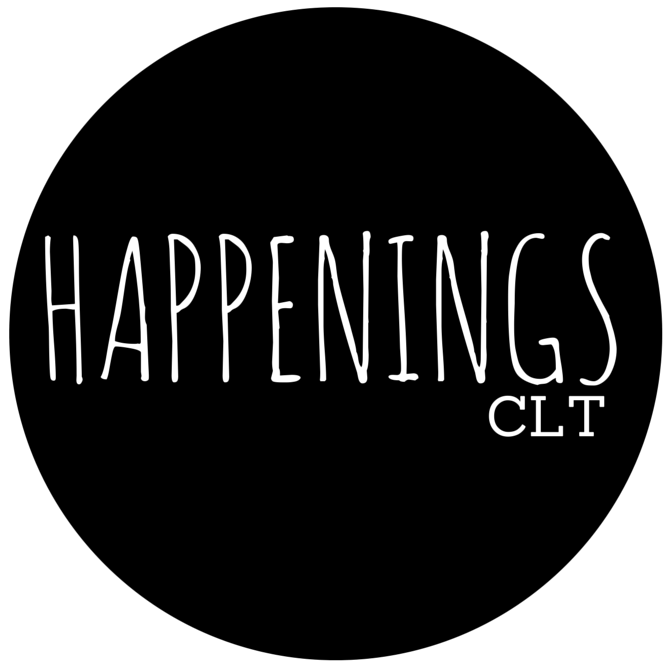 I’m very grateful to receive the visual artist grants from HappeningsCLT. I will use that grant to purchase materials for new painting projects. I had a great time to experiment with traditional techniques that I’ve been researching for a long time. Hopefully, I will have a solo show in Charlotte soon to show my new works. I will attend my first artist residency at Vermont Studio Center in April 2018. I just started couple collaboration projects with local artists here in Charlotte. So there are so many plans for me in upcoming time, will see what happens.